High performance, durable, versatile, reliable – and it looks good! 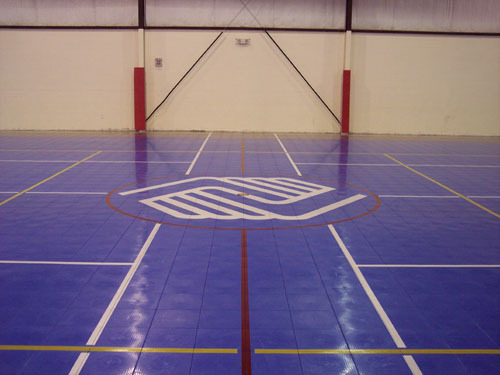 DynaTurf® is a proven winner in colleges, churches, high school gymnasiums, community rec centers and more. 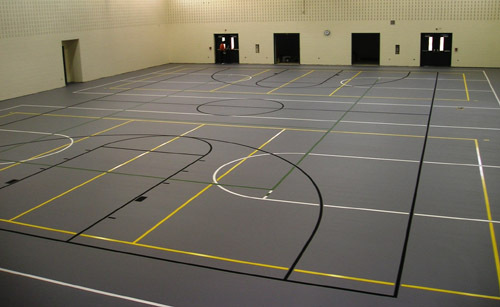 From basketball to banquets, track to graduation, town hall meetings to trade shows, Dynamic Sports Construction’s multi-purpose DynaTurf® Indoor Flooring Systems delivers. The system is designed to provide high performance characteristics for athletic excellence and the right mix of durability and strength to handle dozens of multipurpose uses. Easy and inexpensive to maintain, aesthetically appealing and easily re-surfaced, DynaTurf® is a great investment for any facility hosting a myriad of activities and events. 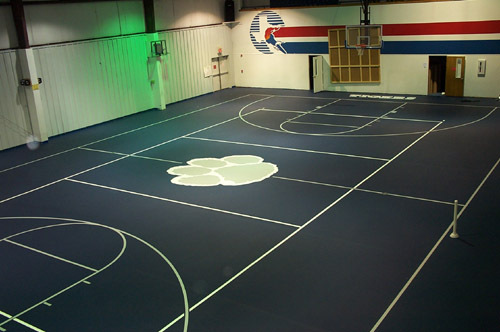 Made by sport flooring expert Dynamic Sports Construction, Inc., this proven system, which incorporates the newest polyurethane technology available, is one of the highest performing, most resilient floors on the market. It delivers good shock absorption and energy return for better athletic performance. Because it utilizes the newest polyurethane technology, the system reduces stress, fatigue and injuries. With its seamless, non-porous nature, DynaTurf® is easy to maintain and hygienic. DynaTurf’s® superior tensile strength allows the surface to handle bleachers, tables, chairs and other heavy loads. The system offers an industryleading life cycle of 15+ years – and it’s quickly, easily and inexpensively resurfaced for another 15+ years of high quality use and aesthetic appeal! It features a special waterborne polyurethane top coat that will retain its professional look for years and provide traction similar to a wood floor. DynaTurf® is recyclable, eligible for 6+ LEED points and is installed with Zero Mercury and Zero to Ultra Low VOC product formulations. Tailoring the system to the customer is the Dynamic way. Your look! 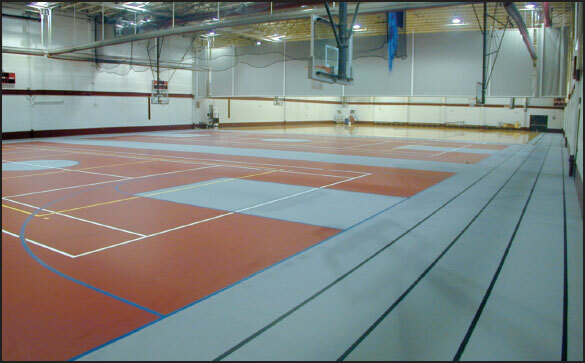 We offer 8+ floor color choices, as well as 8+ line colors. Or ask about customized color, logo and layout options. DynaTurf®…when versatility and durability are required to produce strength and force.